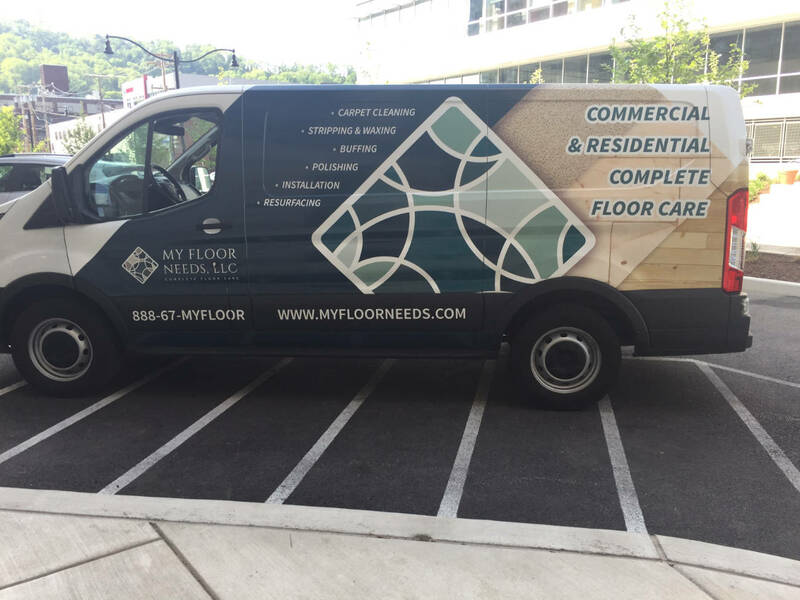 My Floor Needs, LLC is a Pittsburgh, PA based business specializing in all aspects of floor care. 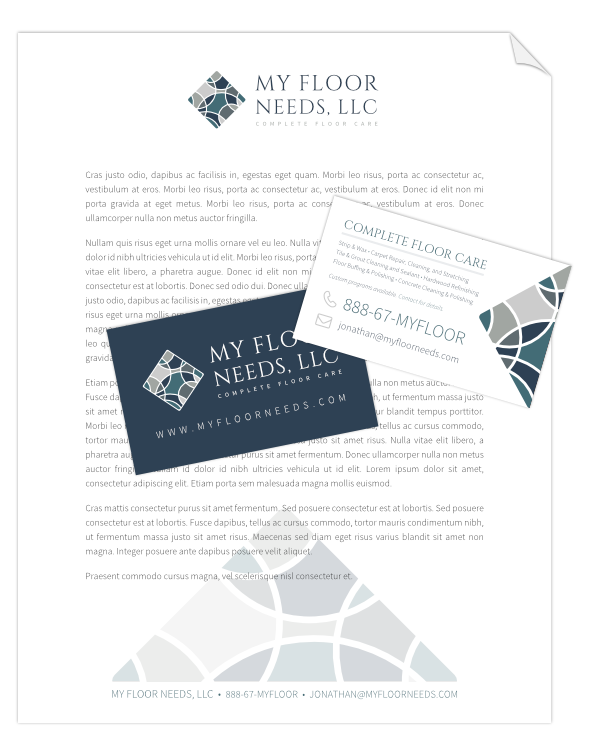 We were approached by My Floor Needs to create an entirely new branding package for their company, including an updated logo, responsive website, and new business cards and letterhead for marketing. We were also contracted for website updates and maintenance, as well as website hosting. My Floor Needs decided to also utilize us for a custom vehicle wrap to advertise in their local area. 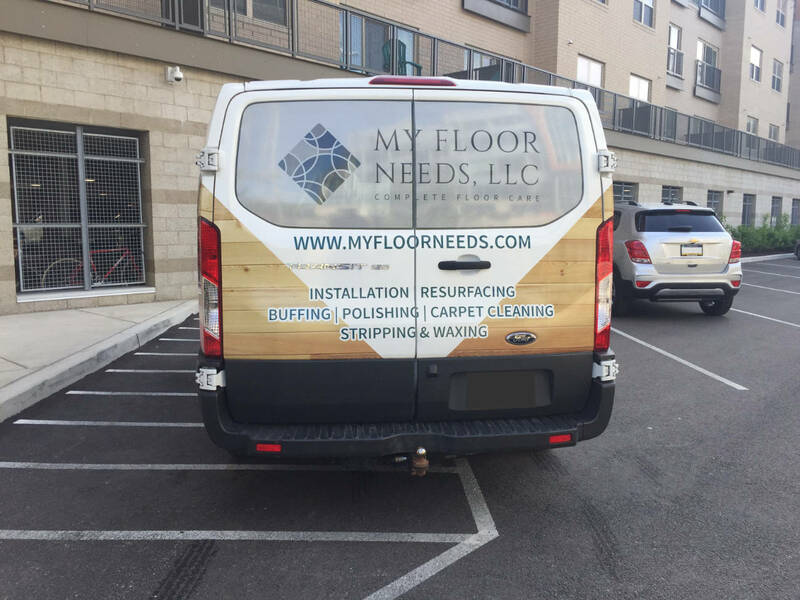 With the help of the new cohesive brand we created, My Floor Needs is now ready to tackle the floor care market with an appearance as professional as their services. Rebrand the business with a more modern, elegant look that more accurately represents the high quality of service offered by My Floor Needs. Create a logo that compliments this new brand. The logo should be simple yet attractive to both individual consumers and high end businesses alike. Build a completely custom, mobile-ready website that helps reinforce the brand while simultaneously introducing potential customers to the range of services offered by My Floor Needs. Set the site up with a range of services pages and a logical flow that will make it easy to set up future online advertising campaigns. Come up with branded print advertising material like business cards and letterhead for direct marketing purposes. The first step towards building an effective and memorable brand is to craft a clean logo that helps to portray what the business does at a glance. After a preliminary sketch process, and a number of rounds of digital concepts, we landed on a clean “symbolic” design. We chose two easy-to-read, elegant feeling fonts, and then created a custom symbol meant to represent ornate floor tiling. To round it off, we included a tagline that quickly sums up the services offered by My Floor Needs. While creating the logo, we went through a brand development process as well where we chose the main business colors and fonts that we wanted to reuse on other advertising material. We went with a nice blend of muted blue and tan, mixed with appropriate use of white and black shades throughout. We also created two variants of the logo. The primary version features darker fonts and is meant for use on items with white backgrounds, like stationery and the website. The version featured here has light text and an outline around the symbol. This version was used on the back side of the business cards we created, and is meant for darker backgrounds. After hammering out all of the details that define My Floor Needs’ base brand identity, it was time to create some marketing material. We created a clean letterhead template that utilizes many aspects of My Floor Needs brand. Our letterhead template was created for standard 8.5×11 paper, and is laid out in such a way that allows for it to be printed from any standard home printer, while still featuring some interesting design elements. The client was provided with both a PDF, as well as a Microsoft Word template file that allows them to quickly type and print new documents by just selecting the template from a list when creating a new file. On top of the letterhead we created, we also came up with a matching business card design. On one side of the business cards, we feature the client’s logo and website URL. On the other, we placed all of the basic business contact info, as well as a few clean design touches to round it off. These cards were to be created to specifications defined by a local printer, and we made sure we worked with the client to provide the appropriate print-ready files that they needed for their specific print shop. This basic stationery package we created helps to enforce the brand identity that we created for the client, and also creates a more professional presence for their business. After creating print marketing material for the client, it was time to put some focus on online marketing efforts. Taking cues from the brand we created, we came up with a clean and simple website that puts the focus on the client’s work. We stuck with our same font and color choices to further reinforce the brand. The entire website is built around WordPress, which allows for easy content updates without knowing how to program. We created a custom theme for the client, and then helped them fill in the content they provided. By creating a custom theme, we were able to make sure the website looked exactly how we wanted, and we were able to tie the brand together more thoroughly than we would have had we used a pre-built theme. We also made sure that the website is attractive on all devices, including desktops, laptops, tablets, smart phones, and more. By creating a “responsive” design for the site, we allow the content of the site to reflow and fit on whatever device it’s viewed on. Navigation collapses down into a clickable menu, the header reorganizes itself to fit on smaller screens, and content rescales to be easily viewable without needing to pinch and zoom around the site. We rounded off the site by adding in a site hosting and maintenance package, allowing our client to focus on their business while we handle the technicalities of running and updating their website. After being pleased with the other services we had to offer, My Floor Needs decided to look into more creative advertising outlets with the inclusion of a custom design for a vehicle wrap for a Ford F150 Transit van. The owner of My Floor Needs wanted to be able to advertise his business while on the job or while traveling to job sites. 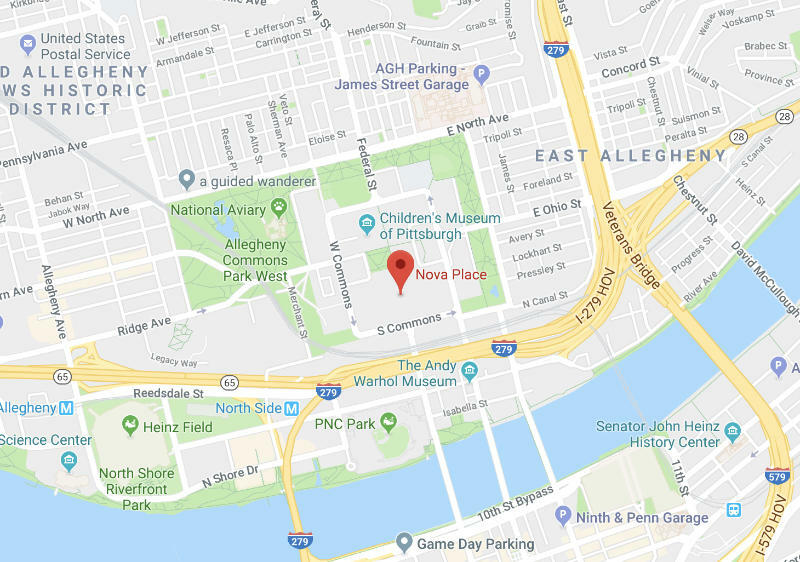 The van carries all of his essential tools and floor cleaning utilities and is driven to every job for the business, so it gets a lot of exposure in local Pittsburgh neighborhoods. 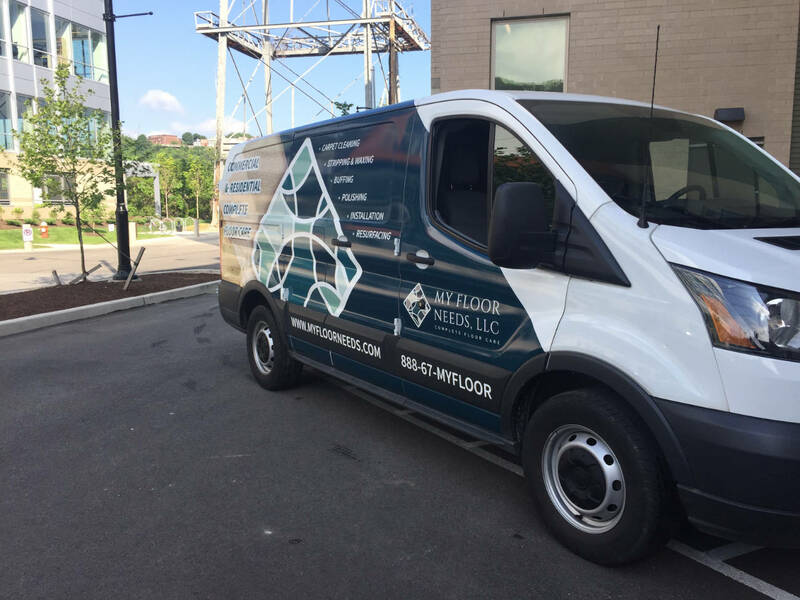 By utilizing the space on the van for advertising, we’ve introduced a rolling billboard for My Floor Needs right inside of the neighborhoods they serve, ultimately helping to inform local residents and business owners of the services the offer. Put It All Together, and You’ve Got a Launch Pad for Success! When starting up a small business, getting your name out there is arguably the most important, and most difficult part of the process. Marketing efforts can easily make or break the success of any company, large or small. By crafting a unique and cohesive brand for My Floor Needs, we set them on the path to successful marketing. Our matching, fully comprehensive online and offline branding package created a solid platform for My Floor Needs to market from, and will greatly help them with brand recognition, a very important part of any marketing effort. By utilizing client input for various aspects of the overall design, we also ended up with a happy client that loves their brand. Ultimately, we ended this project with a strong, unique, and recognizable brand, great marketing tools to go along with it (both online and offline), and a happy client that’s enjoyed working with us almost as much as they enjoy the end result.